Writing has become my safe haven…a place where I can emote and be completely honest by utilizing the words that I could never say aloud out of fear or anxiety. This is my fourth year working for OpenLab’s The Buzz. I am so honored to still have this platform…this opportunity…this venue to publicly talk to students by way of the internet. 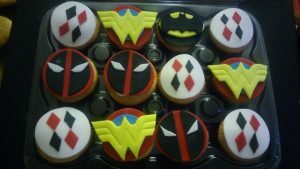 When I first started writing for The Buzz, my theme was anything food related. This would differ from food news, food innovations, new technology for food, new food machinery, or any interesting recipes. Being that my major as a student at City Tech was hospitality management and my area of focus was pastry arts, I was drawn to discuss any food topics because I wanted the fuel the City Tech society with a love for food that I had already developed. This semester is going to be a bit different, in terms of my theme for my future posts as I want to still discuss food but I want to allow my writing to be more raw, candid, and personal by way of my own struggles. I want my writing to mean something more than just informational; I want it to be relatable. I would love for my writing to speak to people, for my voice to be heard through unspoken words…to help others by my own personal journey through life. I figure that every college student is struggling in some way in their lives, and so I want my posts on The Buzz to reflect those issues, to allow students to not feel alone in their woes. My entire life was academics; I literally forgot what life was like before school had taken over it. I could not remember my life in simpler days without the hassle of classes, homework assignments, group projects, exams, quizzes, midterms, and finals. My life was encompassed by the academic world…I felt as if my worth as a person solely relied on final grades and grade point averages. Here I was, a new college graduate who had no idea what to do with her life now. I had no clue what my next step would be. I was so accustomed to attending school that I almost didn’t know how to be self-sufficient without it. It was heartbreaking and devastating. I had thought I knew all along what I wanted, but when I finished, I didn’t know what career to pursue. And honestly, I still don’t. So much has changed in my life during my collegiate years and I am finding it difficult to rekindle my focus onto my future, which includes my career. 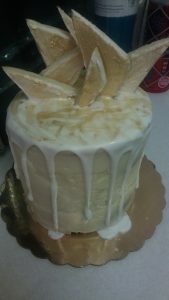 But, in the meantime, I have been trying to hone my skills in my love for pastry arts. 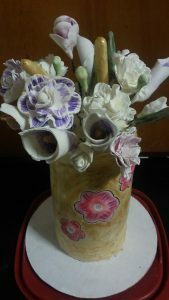 I have made quite a few cakes and other desserts for a combination of friends or family members to become a better pastry chef. And it has allowed me to find my passion within this amazing career that I had somewhat lost after graduation. Each day, I am closer to finding myself…finding myself for a career role…finding myself without academics involved…finding myself as just a human being. 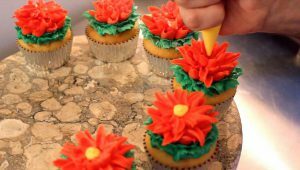 Whether if you are majoring in pastry arts or any other major, food culture and trends are heavily appreciated and have such a tremendous impact on us as Americans. While the job of a chef is tedious and was often not readily as renowned as it is now, it has become this phenomenon. Everyone wants to own their very own restaurant and establish their own style on the culinary or confectionary scene. It has become this career choice that became an easy venture as it opens huge possibilities from a business standpoint, in that you can readily market anything. Before the days of rainbow bagels and extravagant over-the-top milkshakes, there was a food trend that started a dessert war all on its own due to this new innovative idea…the cronut. Dominique Ansel of the Dominique Ansel Bakery created this amazing dessert in his New York City shop. The cronut was a hybrid dessert that was a cross between a croissant and a donut. 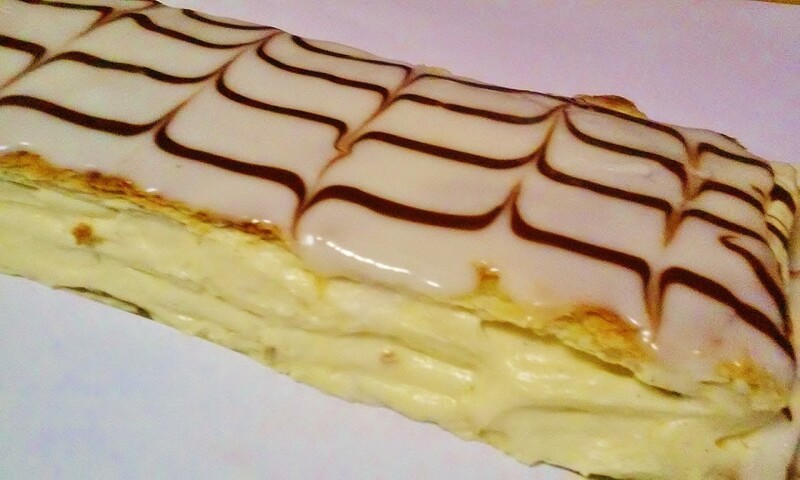 The dessert has since been trademarked although many other franchised bakeries have tried to mimic the readily famous dessert. 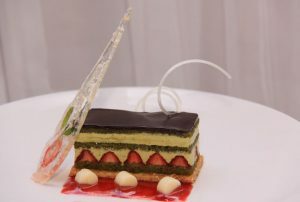 His dedication as a pastry chef has shown throughout the years as he continues to stun the pastry world. 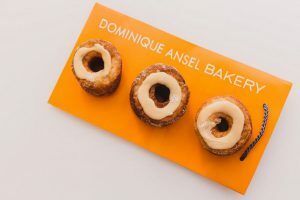 After the extended success of the cronut, Ansel has experimented and had other popular desserts as a part of his dessert menus around the world. Another innovative dessert being his cookie shots which are chocolate chip cookie dough shaped glasses that are served after being filled with milk. It serves as a new-age spin on the classic pairing of cookies and milk. But the latest dessert from Dominque Ansel creates the façade of a kiwi fruit while having the appearance of a Klondike ice cream bar. 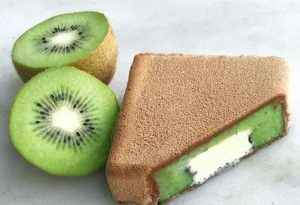 Its innermost layer is a Tahitian vanilla ice cream that is enrobed with a layer of kiwi sorbet and then covered with a layer of milk chocolate and cocoa powder to create that fuzzy outer layer that a kiwi has. This once again proves the talent that is Dominique Ansel as he constantly challenges the dessert world with new ideas and provides a whole new spectrum of flavor concepts readily involved in desserts. One of the most amazing things, no matter what career that you partake in, is to always stay updated and to try to create something new or innovative that has not particularly been created beforehand. As I work towards being a pastry chef, I hope to challenge myself constantly in order to create new recipes and taste combinations for new desserts. 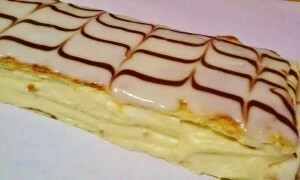 I wish to create my own food trends by way of my ideas to influence the pastry world. I believe that we as humans should always push ourselves to be relevant and create a brand within our talents. No matter who you are and regardless of whether you have your entire future planned out or not, you should always be aware of how talented you are and acknowledge the fact that there is only one version of yourself which makes you already unique as well as what you have to offer this world. New York is where dreams come true where the havens of the concrete jungle bring together the most talented of people from all over America. While there are so many things that this state has to offer that have not fully been appreciated or viewed, I wanted to share a beautiful piece of this city that has been happening for the past twenty-six years. One of the biggest havens in New York that host the latest and modernized innovations is at the Jacob Javits Convention Center. It has hosted the New York Boat Show and the New York International Auto Show but this weekend it is hosting the International Restaurant & Foodservice Show of New York. This is the most prestigious pastry competition in America, it draws in competitors from all over the United States to present their best work to be judged and possibly awarded. The International Restaurant & Foodservice Show of New York is a three-day long event in which the best and rising stars in the pastry world to show off their best work to compete for awards and prizes as well as the most coveted title of Pastry Chef of the Year at Paris Gourmet’s U.S. Pastry Competition. One of the oldest and most established chef associations in the world, the board members of the Societe Culinaire Philanthropique, will preside over the judging procedures. Contest awards will total over $10,000.00. The show begins on Sunday, March 5th and concludes on Tuesday, March 7th. The entire Jacob Javits Convention Center is transformed into this confectionary art gallery of the most amazing artists…pastry chefs from all over the United States. The showpieces will be judged from 10:00 am until 4:00 pm, with the awards ceremony at 4:00 pm. Last year’s theme was Magic & Illusions and even hosted The Junior Competition where six finalists were randomly selected from four culinary schools were able to compete alongside the professionals. The 2017 showpiece theme will be “Modern Masters Come to Chocolate”. All of the attendees of the International Restaurant & Foodservice Show of New York are generously invited to view the illustrious showpieces that were created by America’s most talented and leading pastry chefs throughout the duration of the entire Show. 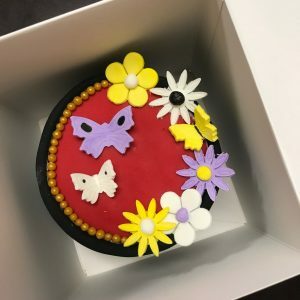 The event allows leading pastry chefs to showcase their talents and confectionary abilities by creating advanced dessert and chocolate bonbon recipes that are elevated by sculpting chocolate and utilizing highly technical sugar techniques to formulate the most magnificent showpieces.